The first decade of the Eritrean struggle for independence that started on Sep 1, 1961 was a time of growing pains. But in the late sixties, the military setbacks and draining of all regional support from the Arab region after the Six-day war, combined with the extensive and effective Ethiopian propaganda, resulted in serious internal crisis. Many combatants were determined to reform the organization and they formed Harakat Al-Islah (the Reform Movement.) Unfortunately the problems were deeper than what the Islah Movement could reform. By 1969, the crisis had deteriorated and resulted in sectarian rivalry. In 1971, there appeared Nehnan Elamanan (We And Our Objectives), a document that Isaias Afwerki and his friends authored to justify their sectarian split from the Eritrean Liberation Front (ELF), which they considered a “Jihadist” organization. They embarked on establishing an organization to mobilize Eritrean Christian Highlanders. Today, many believe that Nehnan Elamanan is the cause for all the fragmentation and polarization that Eritreans still suffer from. Nehnan Elamanan came with allegations of grisly murders committed by what it called the “Jihadist” ELF against Christians; and after more than forty years, the allegations still circulate as truth among Isaias’ supporters. With time, the unsubstantiated allegation became urban legend, elevated to a myth, and further deepened the mistrust among Eritreans and to this day continues to divide Eritreans. 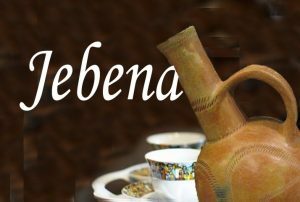 In fact, it is difficult to understand the cultural disharmony, the sectarian mistrust, and the regional frustration that Eritrea suffers from without scrutinizing Nehnan Elamanan. Unfortunately, save for some loner pens here and there, not many have challenged the allegations made in the document. On the contrary, a number of so-called Eritrean scholars have been repeating the contents of the manifesto as divine truth. But those who read the polished English translation cannot be blamed for the translators themselves are certainly influenced by the message. It suffices to show that the title of the manifesto, Nehnan Elamanan, was translated as ‘Our Struggle and Its Goals’ whereas the correct translation is We And Our Objectives. The manifesto is all about “WE”—its authors identify themselves “most if not all of us are Christian highlanders”—which carried so many subliminal messages directed to a focused audience: Christian Highlanders. It was not (as the translated version tried to make it appear) about the STRUGGLE which, in the Eritrean psyche, means something of a national nature, with an all encompassing Eritrean scope, not a sectarian clarion call. The manifesto still cries to be researched and analyzed; and we encourage qualified scholars to do just that. On our part, this article is our modest attempt to shed some light on it. We will challenge and explain the evolution of the manifesto because we believe that knowing the details of Isaias’ destructive designs in the past will help us better understand him and be better equipped to fight his tyranny. Nehnan Elamanan is widely believed to be a creation of Isaias, his master plan. Therefore, we think a more fitting title for it would be ‘He And His Objectives.’ The manifesto is the seed of Isaias’ tyranny of today, and it is the reason why we have him at the helm of power in Eritrea. 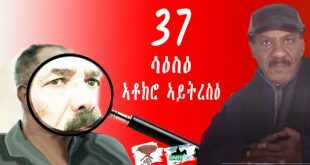 In this article, we will first present an introduction to Nehnan Elamanan followed by an insight into how it came into existence and how it hastened Isaias’ sectarian split before he joined two other splinter groups with whom he formed EPLF, which he soon controlled, and which, after the liberation of Eritrea, became today’s PFDJ. 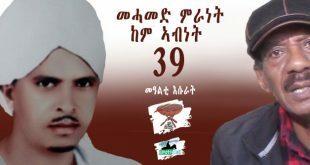 Finally, we will explain how Isaias and his clique exploited the killing of Kidane Kiflu and Welday Ghidey, the only two names of casualties that appeared in Nehnan Elamanan and which it treated sensationally. Nehnan Elamanan was an attempt by Isaias to rewrite history to fit his grand plans for Eritrea. From the outset, he identified his constituency and focused on mobilizing the Christian population of the Eritrean Highlands, by addressing their baser instincts, cleverly using their fears and suspicions, spreading out any feeling of collective guilt (over Eritreans dealing with the Haile Selassie regime) and calling on them to rally behind him against what he portrayed as the dangerous other. With the “other” clearly defined as corrupt, bigoted, thieving and murderous thugs who used religion as an organizing principle, the document went on flattering the “we”—always defined as Christian highlanders. It told them that if they are suffering any guilt for the role of their forefathers in the 1940s, they shouldn’t because “The Eritrean people—after 1940—were divided into two political fortresses. When the majority of Christians were calling for union with Ethiopia, the majority of Muslims were calling for union with Sudan.” (never mind that this is not what the UN Commission reported at the time.) It told them that they should feel empowered because the last census which was done in 1957 showed the “we” are 55.7% of the population and “aslam hzbna” are 44.3%. It told them that the Christian highlander was just as nationalist, just as willing to fight for Eritrean independence in 1961—had it not been for the restrictions of geography. It also claimed that the consensus which was reached in the 1950s to have dual official languages was forced by the UN because the UN saw everything through a religious prism. The idea of the ELF to divide Eritrea into 4 operational sectors [copied from Algerians in their fight against colonialist France] was based on the ethnic differences of the ELF leadership and it was right for the Christian highlanders to ask, “why is a Muslim/Saho leading us?” And even when he was replaced by a Christian highlander, it was not good enough because he was “Hade se’Abi’om zkhone kristanay Haleqa”[a Christian chieftain who was one of them.] And there was nothing wrong for the Christian highlander to make these demands because “natka yeHmmeka” [what is yours is what concerns you], it argued. 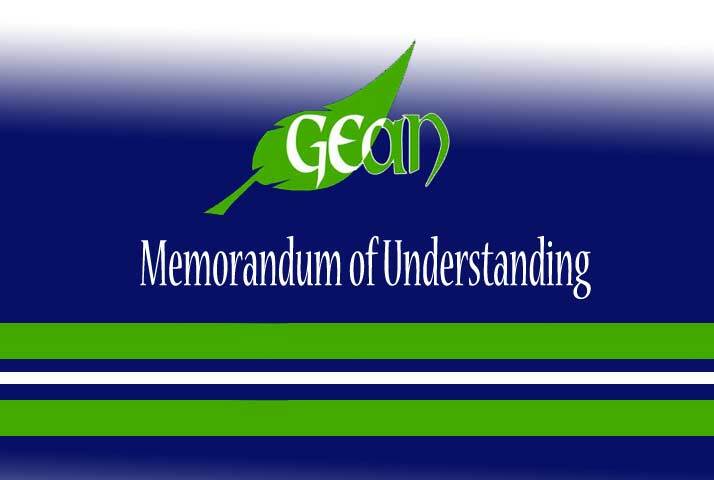 All attempts for reforming the ELF failed because “wedi dmu ney gedf nay e’mu [bad habits die hard–but the expression describes “bad habits as hereditary] explained the document. 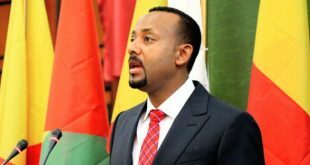 And so, since the only two choices are to (a) surrender to the enemy [Ethiopia] or (b) be butchered by the ELF leadership, we don’t have the luxury of sitting on a razor blade and that’s why we are splitting. 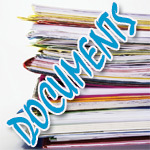 The document played up every stereotype of the Muslim Eritrean: disorganized, barbaric, murderous, sectarian. It was 28 pages of “Aslamay entenegese yHarrd e’mber neyferrd” (put a Muslim in a position of authority and he is severe.) And it did its job: to this day, 40 years later, Eritreans who know nothing about Eritrean history know one thing: the ELF [“Amma”] was led by sectarian butchers. 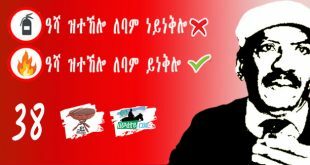 Not just Eritreans: even foreign “revolutionaries” internalized its message and called the ELF a “Muslim organization”. How did this document come about? For a long time before Nehnan Elamanan was openly distributed, Isaias and his group were clandestinely circulating parts of it, and messages with similar content to it. Apparently the originals of the messages were kept in Kessala [Eastern Sudan] and many of those who were part of the planning, writing or disseminating the propaganda of Nehnan Elamanan have repeatedly, and vaguely, mentioned them just as “documents”. They all stated that Kidane and Welday were in possession of some “important documents” in Kessela, Sudan. We believe that those messages, and the repeatedly mentioned documents [referred to as “books from China” in Mesfin Hagos’ case], or some of them, are in the possession of the PFDJ, and once released they would surely clear a lot of grey information. But until such a time, the available information is enough to deduce what the documents were about: perhaps the seeds of Nehnan Elamanan. At a time when there was rampant political conflict within the Eritrean liberation forces, and obviously Isaias and his group were weaving conspiracies, and the heavy-handed manner with which the ELF leadership tried to resolve the problems, one side would naturally want to defeat the other, at least in the propaganda war—that partially explains the motive behind Nehnan Elamanan. Also, in many instances, the ELF leadership proved to be seriously inept in solving some problems and resorted to extreme solutions. It is difficult to understand, let alone justify, some of its damaging actions—for instance, its decision to jail six-members of the General Command, all hailing from the Semhar region. This cannot be explained except in terms of regional bias even if they had committed subversion, a not-convincing explanation given by the General Command. It was amid this political turmoil, mass surrender and spying cases, and internal maladministration that Kidane and Welday were killed. They could have been innocent; but even then one doesn’t expect the revolutionaries of the day to set up courts for them and deliberate meticulously before passing a sentence—within the ELF, a serious attempt to establish a proper court system only started in 1975. And though Nehnan Elamanan alleges that hundreds of Christians were killed within the ELF, it didn’t mention any names save two: Welday Ghide and Kidane Kiflu. In that environment of wild “revolutionary justice,” many innocent people—not just Christian highlanders—were killed, and many who fought against a more powerful entity were defeated. But it doesn’t follow that the defeated are always innocent who should be treated as helpless victims; had they been the victors in the power struggle, it is almost certain the role would have be reversed. In short, the price of revolutions is high, and liberation struggle it not peaceful either, nor is it a slow evolution. And everywhere and anytime, revolutionaries are led by zealots and it is the nature of revolutions to divide people into enemies and allies, nothing in between. It is because of such complexities that it is important for Eritreans to know the nature and content of the documents that were kept in Kassala. And why they were so important that Isaias and his group badly wanted to retrieve them from Kidane and Welday’s house. 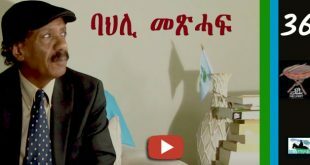 It is not far-fetched to consider the “books from China” that Mesfin Hagos mentioned in his interview is a reference to the same documents that Ghirmay Mehari (now Brig. General ) and Wolderufael Sebhatu (martyred in Nackfa), were trying to retrieve from Kassala. It is very possible that they are the same documents that Naizghi Kiflu and Weldenkiel Haile mentioned. And it is very possible that the clandestine letters, that Gebremedhin Zerezghi mentioned in his testimony, were circulating among the combatants were the cause for the killing of Kidane and Welday, whose names automatically appeared on Nehnan Elamanan. A serious question has been asked for decades regarding the allegation of Nehnan Elamanan: If the ELF was into the “slaughtering” business as alleged, why were “Christians combatants” like Mesfin Hagos, Isaias and many, many, others spared? A relentless and heavy Ethiopian propaganda that labeled the Eritrean revolution as a Muslim project and encouraged Christians to surrender by taking advantage of the blanket amnesty offered by the Ethiopian king. Many did. The onslaught on the Muslim population, wiping their villages, mass arrests, robbing of cattle and other properties carried out by the Ethiopian forces, particularly the commandos forces, who were composed of predominantly Christian highlanders. The general treatment of Muslims as second-class citizens as Ethiopia declared Orthodox Christianity as the official religion of the state. The military setback of the ELF after the Halhal debacle where the ELF was weakened and appeared un-salvageable. The Israel-Arab war that drained supply lines from the Arab countries and weakened the ELF. The emergence of ideological (Marxists influence from Yemen and Sudan) philosophies in the ranks of the ELF and the struggle that ensued between urban (who were more accepting of Marxist ideas) and rural (conservative) members of the organization. The above could have been some of the reasons that made the doubtful combatants surrender in droves. But for other patriotic Christian combatants who remained behind and were totally against the surrender, it must have been painful to be categorized with those who surrendered when they chose to fight on. Such frustration would understandably trigger in them the urge to develop a counter narrative to vindicate themselves or at least ward off the suspicion. For Isaias, this must have been a grand opportunity to exploit and revive his old bigotry and prejudice as some of his schoolmates attest. The cause of the “hundreds” killed and of “Srryat Addis wiped out,” could only be a natural human reaction, a defensive mechanism by the injured to fight against the labeling and to defend themselves from being stereotypically perceived in a negative light. For Isaias, though, it meant a golden chance, an energy that would propel his sectarian split, a successful attempt to turn the tables on those he perceived as the other. And he cleverly used the incidents to mobilize Christians from the Highlands whom he considered his constituency. In 1970, according to a number of veteran combatants, handwritten copies of some of the documents somehow ended in the hands of ELF security officers of the time. They contained allegations and language similar to what come out later on Nehnan Elamanan. The sectarian allegations were spreading wildly, and the security officers of the ELF began a surveillance task to check who was behind it. Kidane and Welday were implicated in the propaganda war (documents) as the statements of the above-mentioned veteran combatants indicate. 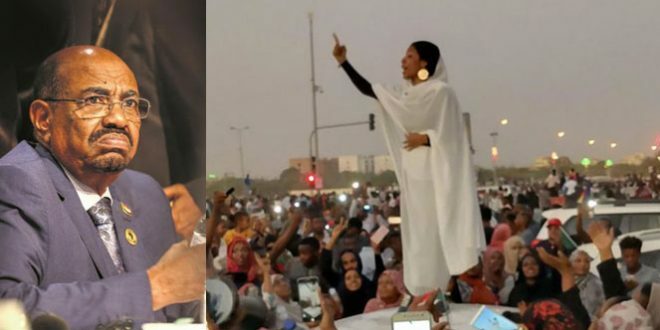 Around the same time, a Sudanese officer tipped the ELF security personnel that Kidane, Welday and others were communicating with the Ethiopian consulate in Kassala—the consulate was aggressively luring the doubtful to surrender and it facilitated the surrender of scores of ELF combatants. It was in such circumstances that Welday and Kidane were killed and their bodies found around a place called Hafera, near the town of Kassala in Sudan. No one claimed responsibility for the killing but fingers began to point towards some zealous officers of the ELF. Veterans of the revolutionary justice environment of the Eritrean Struggle are very secretive and do not allow themselves to be quoted publicly, but many of them recall versions of rumors that spread at the time: Kidane and Welday were accused of subversion against the ELF and treason for causing the surrender of combatants. The zealous security officers might have thought the killing would serve as a warning for others; or they might have been trying to contain and hide the damaging sectarian allegations that exposed the struggle to grave risks. Others claim that after the leadership of the ELF became aware of the killing and wanted to punish them, the killers leaked some of the documents to gain sympathy from the public who would not condone but be angry at the combatants who were surrendering to the Ethiopians. But the leak and the wide spread of the documents had another unintended result: it hastened the split of Isaias. If not for the embarrassing situation the leadership found itself in after Welday and Kidane were killed, and if it didn’t panic and properly contained the damage, it would have certainly continued the surveillance calmly and reached a conclusive result. But the exposure of the documents and the panicky move of the leadership placed Isaias, the mastermind of the whole propaganda onslaught, in a precarious situation. He in turn panicked and began to devise an escape strategy. At about the same time, the General Command assigned Isaias Afwerki and Saleh Fekak (both members of the General Command) to organize the people of the Highlands. They left the ELF bases accompanied by nine-combatants and they carried along typewriters, duplicators and other resources that would help them set up a local information unit. Once the group reached a place around the village of Fgret, Isaias excused himself for a few hours to visit his relatives in the area—he selected the three Christian combatants in the group to accompany him. Hours went by and Isaias didn’t return. Saleh Fekak and the six-combatants waited for another day and he didn’t show up. On the third day, Saleh Fekak sent three combatants to look for Isaias and his three companions; they failed in tracing his path in any of the villages in the area. Saleh Fekak abandoned the mission and returned to the ELF bases and reported that Isaias has disappeared with three combatants. Weeks later, Isaias met other scout forces in the Merrara area and told them that he could not work with Qiyadda AlAmma (General Command) and that is why he abandoned his colleagues in Fgret—that was the beginning of his split. It was then that Isaias edited Nehnan Elamanan and publicly disseminated it after adding the names of Kidane Kiflu and Welday Gidey to it. In 1991, members of what was known as United Organization (UO), a conglomerate of parts of many struggle era groups, entered Asmara. 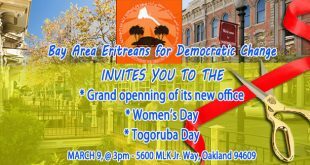 They had hoped to be recognized as a political party to compete in Eritrean politics; but Isaias’ PFDJ had another idea. The UO members were told that they were just individuals and should stop dreaming of continuing as a political party. A small number of them, the helpless, were absorbed in the public sector, the rest either went into exile anew or were left to wander in Asmara in confusion. Shortly thereafter, many were silently snatched by the PFDJ’s security apparatus and disappeared. One of those who disappeared a few years later from his hotel room in Asmara was Mohammed Osman Dayer, a veteran who was the security chief of the ELF when Kidane and Welday were killed. In a short time, the PFDJ successfully blocked any future testimony or impartial investigation into the case that propelled the tip of Isaias propaganda spear. Isaias’ statement comes regardless of the fact that he had just joined, and he couldn’t have observed anything about the ELF on his first day of joining. Why then such a serious allegation on his first day? As many who know him testify, his statement exposes his bias and prejudice that he carried along with him from his past. Today, Eritrea is under the mercy of Isaias because he was not challenged since a long time ago when he was paving a path for his current tyrannical rule. He consistently perpetuated a strategy of victim mentality until he achieved the goal of creating an organization molded in his shape: the PFDJ. The November 1971 document entitled “Nehnan Elamanan” [literally translated to “We And Our Objectives” (but in its English translation “Our Struggle And Its Goals”)] most likely started out as a document written by reformers but was eventually changed into a Clarion Call of us (Christian highlanders) vs them (Muslims) by Isaias Afwerki. It appeals to the baser instincts of Christian highlanders and it flat out lies and exaggerates and, when necessary, omits the motives and magnitude of the persecution of Eritreans by the ELF leadership. However, because it was interlaced with revolutionary rhetoric, it was presented as a respectable document to a selectively targeted group of influential Eritreans and fellow-travelers in the socialist camp. 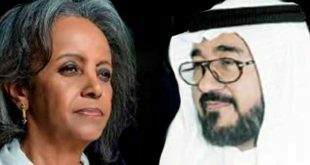 Note: next, in an article entitled: “Srryet Addis: Blatant Lie?”, we will shed some light on the allegation of what came to be known as Srryet Addis, the most sensational allegation of Nehnan Elamanan. 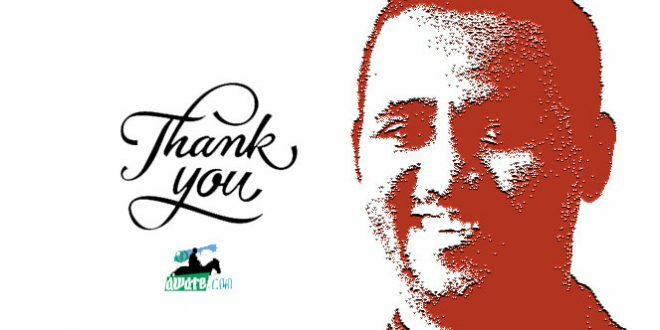 Subsequently, we will publish Gebremedhin Zerezghi’s testimonial, available in Tigrinya booklet, which we translated to English. In due time, we will also present to you the English translation of Nehnan Elamanan after we thoroughly check its accuracy compared to the original Tigrniya version. Woldeyesus Ammar, “From The Mystries Of “Siriyet Addis.” April 25, 2004, (This article first appeared on awate.com, on a column called Spotlight. Weldeyesus Ammara was a high school classmate and a university colleague of Isaias Afwerki in the 1960s. [ix] Dan Connell, Conversation with Eritrean Political Prisoners. I am not 100% sure the story is history. But I belive it is the best logic currently disclosed about this man. By the way do not blame this man as the generation at that time has almost same trend b/c they did whatever crime as far as they think benefit them to power just forget about people, reality, ethics, humanity etc . Always they think how to be totalarian until end of their life. 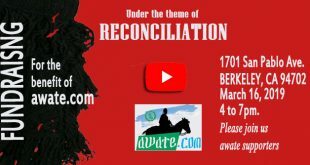 Thank you awate.com for your service to Voiceless Eritreans. As Muslim Highlander from Saho origin. I dare to say we were victims of Eritrean Traitors (Represented by the COMMANDOS and some elements in the ORTHODOX church) in the late 1960s and early 1970s. We should not forget that part of our history. I have lost more family members by local traitors and opportunists than by ocuupation forces. For the sake of Eritrean interest and unity today I would say Let By Gones Be Gone!!! Interesting article, our people should read such informative past of our history. I hope others follow on their research to educate on the purpose to awaken us from confusion created by our political leaders deceptive methods. The only way to free ourself from backward mentality which cause all the nonsense approach of mistrust, division and unstable mind set in our society is to have knowledge on the whole truth of our history. The damage is done already but it is not so late to turn the subject other way around for the sake of unity, it only takes our willingness to accept the reality and move on for our common good. Many Thanks fro your writing Nehnan Elamanan in-depth and very thoughtful contribution ,your writing and many of your previous reflections on Eritrean situation .At this very cruel hour it is very informatics to Eritrean citizens, as a country is becoming disaster for our people is rapidly approaching catastrophe, I truly appreciate your article and duty to our country and building bridges among our people and among our opposition group , your greatest concern is to fulfill the elemental duty of informing our people, God willing change will come. Isaias as he was seeking to hold the power in EPLF as highlander front together and pushes it in a more radical direction. It serves to harden the group’s ideology. He was claver and good in formulating and disseminating false info political material. Isaias uses false reference material out of nowhere which can be selectively edited to support his idea fro narrow minded radical impressionable young fighters (audience ) his blinded follower . He is supporter came majority from the present highlander – today’s government and the number fast dwindling and collapsing . If independence comes he simply advocate let the EPLF as a Kebesa People role again and over again under all circumstance and in realty Kebesa People do not role he role them and to make them all passive tools. They see the futility of supporting a doomed Regime coming to end. Regime find themselves isolated domestically, regionally and globally. With a parallel steady increase in regional and international support for the opposition. His hate fro ELF as Muslim front or to any fair minded opposition is very Evident in his written, Nehnan Elamanan and also for same Kebesa People fro those who never supported him. This lack of critical thinking reinforces questionable Nehnan Elamanan and allows them to spread among his top brass. He try not to differentiate between what is good priority and what is bad to down play . There is an intrinsic value in getting to the truth of the fact something and that is being lost. Is highly worthy of awate team in trying to high light. Even those facts are evident to the reader. The fact that lots of his followers hold absurd propositions regardless of evidence is uncomfortable. It is worrying because of the way in which people are going about understanding the proper Eritrean situation in right context .” His selective mindset displayed by die-hard political theorists leads to a lack of understanding among our people . If you do believe in 3 theories, the reasoning you apply is illogical, emotion-driven, irrational, and non-evidence based,” yet there are narrow minded few at top who genuinely believed and they conspired against Eritrean compatriot Muslim and murder their own fellow citizen. The truth is out there, and they know the right places to look, it is not hard to find we are next to you shoulder to shoulder and your neighbor . There was No need to believe blindly and very sadly in Nehnan Elamanan that have cost so many lives and Eritrean history in right place. Historians will conclude that Nehnan Elamanan was a major nightmare we are still suffering from. I like and admire the impartiality in your approach, clarity of reporting and the sincerity of intention. I have a lot of questions, however, I have to wait to read the upcoming article on “Siriyet Addis”! Once you published all the relarted series of articles, with regard not only the period of time but the truth about misinformation particularly the blankit accusatory story of Muslims killed Christians, you document the finding into a book so that new generation knows about the truth and could be used as a unifying reference. A rational Person would be open to and comforted by the logic of that argument. Unfortunately Most Nehnan Elamanan followers are not rational. They are power hungry. They are Isolated from reality? They prefer to suggest that Eritrea will be a greater under Isaias’ tyranny of today, not a lesser, power house in the years to come. They prefer to “reassure ” and talk big — or big enough anyway. Not too big, of course, and now that those Eritrean dreamers–or mad visionaries, if you prefer–they give false and misleading inspirational written and speeches. The refuse to see in a rapidly changing situation, they have proven incapable of asking any questions that would take them beyond what might be called the usual tactics of disinformation and stagnation. As a result, they simply keep on going on. Good examples of the extent to which many (most?) Nehnan Elamanan followers have been brainwashed and today ERI Gav propaganda, as a consequence beyond reason and only capable of seeing themselves as the victims instead of what they actually are, the oppressors, were on display in all their naked eye a glory at least for 20 years of HELL. So called Followers and ERI Gav propaganda they know very well what is happening. But happen to chose an agenda for being against Opposition and Freedom. Sometimes fear is born from misinformation, disinformation, exaggeration, and in the case of Muslims, misunderstandings. Understanding who Muslims are, what they believe, and how their values differ (or are similar) from (to)our–Christians brothers is extremely important in making a tolerant and safer society. but Nehnan Elamanan followers they are not interested in understanding and it does not serve their purpose. Isaias Nehnan Elamanan written “is Not intended to contribute to an understanding of Eritrean diversity, his attitudes clearly Against the pluralist-democratic values that matter deeply to all of us. its freedoms, and its lawfulness, simply put he is not welcoming the future of Eritrea to be pluralist, he is telling us WAKEUP it does not exist do not dream and aspire for a better life. Today Eritrea is racist or inhospitable land by world standards at bottom. He does not yield to democracy and freedom as virtues, he and followers totally ignores most prevalent grievance fact established in the ground. For Isaias Democracy is a sham but he knows the truth, he refuse to be on the right side of history, “The suggestion that Eritrean cannot thrive in a democracy is insulting, dangerous, and wrong, “for his followers by saying Ameen, our heroic populations long denied freedoms and prosperity. Not even a hint of democratic consultation. He foresees turmoil, his three broad explanatory perspectives with saying it exactly my reading; confrontational, aAssimilations, and divided community. But, like all these years of various tactics have proven to be totally false and wrong, there is always one more way to go, one more idea to get us closer to our goal. We are not closer to independence than we were back in 1991 and really just that much more worst and disenchanted. The Eritrean state, by its very nature is anti-liberty and anti-freedom. of course, Isaias and his defenders give lip service to the concept of freedom… because the ruling regime and its elite want to suppress the very impulse of freedom. De-Romanticizing ghedli at its best. 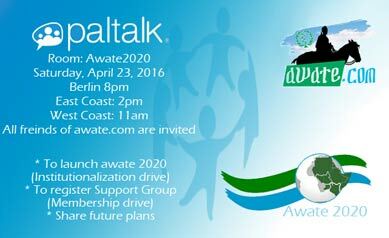 Make sure that there are Christian/Highlander voices in “Awate Team”. We are not always as objective as we think we are. Looking forward to the rest of the installments. Ambition is a fire which gives action to weak as well as to strong minds. It gives a spring to limited as well as to sublime geniuses; it inflames the impure as well as the virtuous disposition. But the man of genius embraces at first view the immensity of resources and of obstacles, he meditates on the force of those, he studies the resistance of these. It is not alone on the present moment that he fixes his attention, it is more especially the future which occupies his thoughts; he calculates by turns the chances of difficulty and encouragement which he is to expect from passions, from time, and from fortune. He knows how to balance the one with the other, he leaves to chance nothing that human prudence can supply, he takes advantage of conjunctures with such ability, that we imagine it is he himself who has given birth to them. Disappointments neither discourage nor stop him, because he has foreseen them; his means and his success astonish, because his views have been wise and grand. If the ambitious-man unites to an extensive understanding, a soul fired with a sincere love of virtue, and then we fear not that he should become the scourge of his countrymen; he will be their benefactor—their happiness is the aim of his intelligence and his labours. It is not with sword in hand that he arrives at this point? The path he pursues he strews not with dead bodies, he dips not his code of laws in blood; but justice and truth, and not executioners enforce obedience to his decrees. …. Thus does the ambitious man, who unites virtue to genius, become a blessing to his contemporaries, and to many generations. He persuades, he does not destroy. The shallow man who aims at elevating himself takes a bolder flight than the man of genius. But, as this confidence is the effect of his incapacity, and of his presumption, as he knows neither how to read in the past, nor in the future, as he has no idea of the sports of fortune, of the whimsical impetuosity of human passions, he is either stopped in his course, or dashed to pieces against the goal, the moment he arrives at it. If to an enlightened understanding he unites a soul without virtue, he will grasp at every mean in the execution of his projects. He will set out at first in the dark, he will cover himself with the masque of hypocrisy, and he will advance by bye-ways. Circumstances will subdue him, events will carry him along. As his insignificance and the indirect course he pursues, will at the first have concealed him from every eye. He will be able to make some progress, he will be enabled to ascend a few steps of the throne, on which he has the presumption to seat himself. But incapable of maintaining himself at this height by his own means, he will be irritated at his own weakness. And he will avenge himself for it on those who shall be unwilling to bend the knee before him. He will surround himself with executioners and assassins. He will take the forced silence of terror for the peaceable assent of obedience. He will persuade himself that: he is fixed in his usurpation; intoxicated with blood and pride. He will slumber in this silly idea. The hate, however, which his monstrous cruelties will inspire – will raise up against him, every mind will arm every hand, and he will fall with more rapidity than he shall have risen. This is a great research topic. I must admit that, so far, I have only read the above piece only once (and much needs to be digested first) but it sure appears to be an original contribution to knowledge, certainly if less rhetoric is employed and if the main claim made, as to the origins of Nhnan Elamana, is finally unveiled . I note that the author/s have an established hypothesis in this regard, and testing of that hypothesis positive/negative would be the main thrust of a reader’s query throughout the process of racing through such a great series. we have seen practically that this is true. But I still remain confused why a man can’t change once he drowned to be tyrant for this limited life time? what advantage did he get for being dictator ? and always the end is very bad for him. I don’t think he is enjoing being alive even. I can’t find the reason in my mind why some one has to be so crule. Did you read or get anything that can convince me? I try a lot to find but I can’t maybe you can help me.